Having your wedding on the Costa del Sol guarantees you unlimited options when it comes to entertainment and music for your big day. 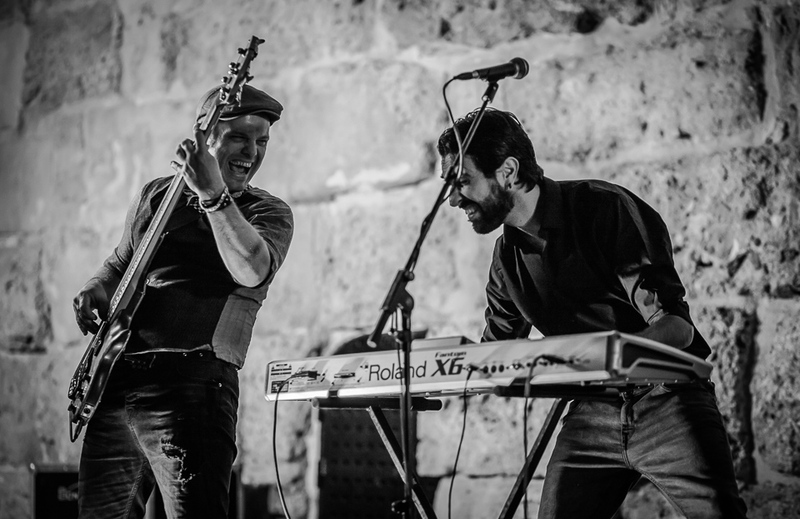 Plus getting married in Spain and Mallorca with Sunshine Weddings Spain, means you have the choice of some of the best bands and musicians on the coast – from traditional groups and DJs, to classical violinists and Spanish guitarists. Choosing the type of music you want for your wedding party is vital as it really sets the scene for the entire day. Are you opting for a chilled rustic wedding on the beach with a reggae band or DJ? Or are you looking at a glitzy five-star hotel wedding with a live band singing into the early hours of the morning? Whatever entertainment you want to help your guests dance the night away, our team can help you find them! Today we have the pleasure of interviewing The Q – one of the best bands on the Costa del Sol. 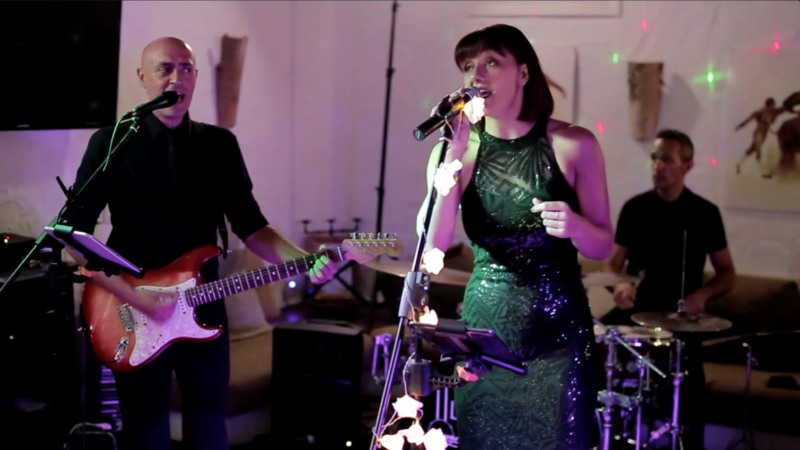 Singing top hits from soul and rock, to classic party tunes and pop music, the five-piece band will guarantee a party that you and your guests will never forget. 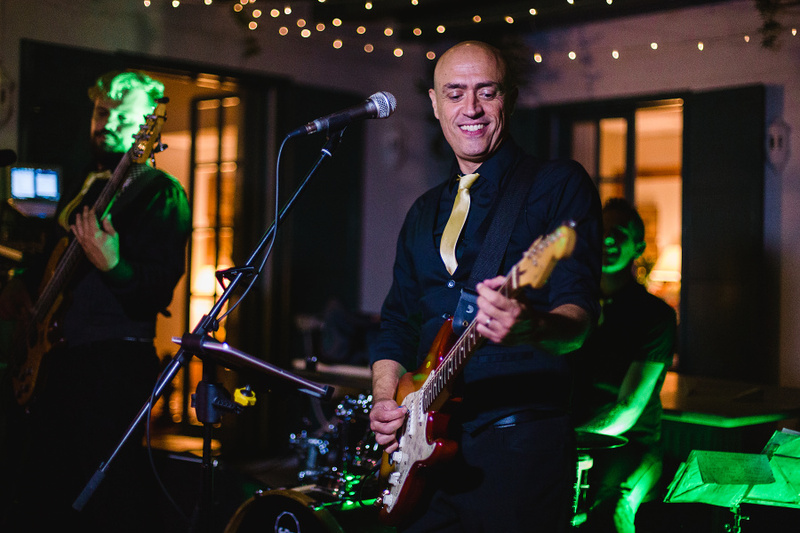 Here’s what Jose had to say about choosing the right musicians, his favourite music and how to party Costa del Sol style! Hello Jose, thank you for chatting to us today. Having The Q at any event is always so much fun. How did the five of you form into a band and what’s it like working as part of a musical team? Hello! We formed the band in 2007 after meeting at a jam session and since then it has been an amazing journey. Apart from the outstanding musicianship, from a personal level we are also a fantastic team. This is very important in order to carry out the hard work that the wedding season always brings. We love learning new song requests for the first dance and we put lots of energy in the performance and engaging with the audience. You sing a fantastic array of songs – from old dancefloor classics to contemporary chart songs. If you had to choose five all-time favourite songs to get people dancing at a wedding, what would they be? 5) One Love by Bob Marley. We love getting everyone to sing it along and make it a really special moment of the evening. 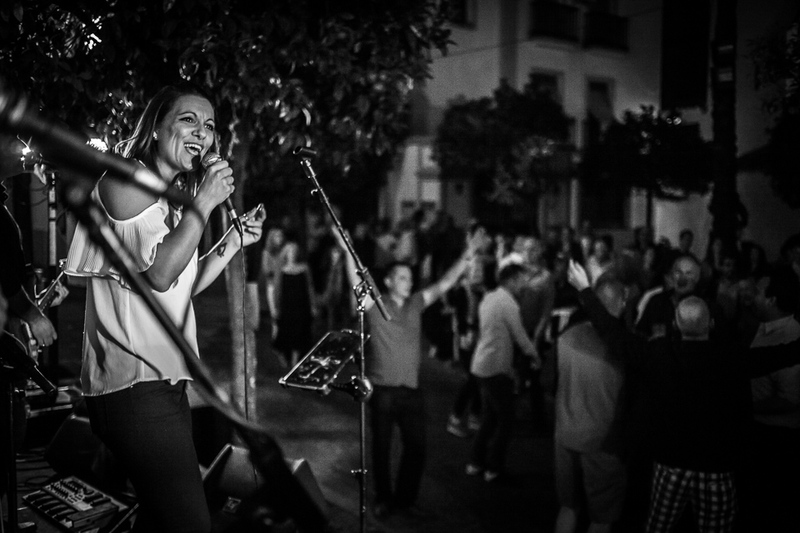 You have sung and performed at events and weddings all over Spain and the Costa del Sol. Tell us about one of the best weddings you ever performed for and why. This is also a really hard question to answer. We’ve had the privilege of sharing so many moments of joy, deep emotion and happiness with bridal couples, their families and friends. We feel really lucky to be a part of such an important day in their lives, especially through the power of music. We love performing the couple’s first dance, and the father and bride dance. That is why we put our heart in every wedding we play. If I had to pick one, then it might be a wedding we performed in Benalmadena two years ago. The couple had three kids and in the middle of the ceremony, the youngest one (a girl about 3 years old) went to her mum and hugged her. The other two kids followed their sister and in the end the couple and their kids were having a spontaneous family hug. I turned to see Amelinde (our singer) in tears like all the guests. We really love all those memorable moments. The best thing about weddings is always the people. What three pieces of advice would you give to our destination bridal couples when it comes to choosing the right kind of music for their wedding? I would suggest first of all choosing a professional and experienced band or performer. A great planner, like Sunshine Weddings, has so much experience that they will help you get the best performers available on the Coast. Also, let the band know your musical preferences, as well as having in mind some songs and styles of music that your guests will connect with. This is why we have an eclectic set list with very well-known party songs from different styles and decades. Lastly, just let the musicians take care of the different dynamics during the night. 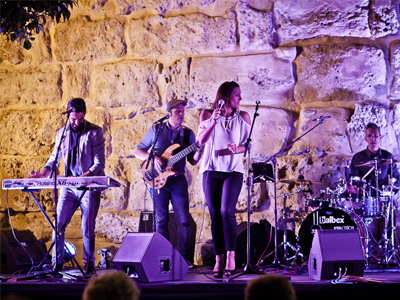 We can feel the energy of the guests during our set and use it to build up a great party. This is what we know best after our long experience. And lastly, if you could perform at any famous person’s wedding ever (past or future) – who would it be and why? Mmmm, John Lennon and Yoko Ono got married in Gibraltar at the end of the sixties. It would be great to be part of such an iconic moment from that era. And really close to home! Hahaha. 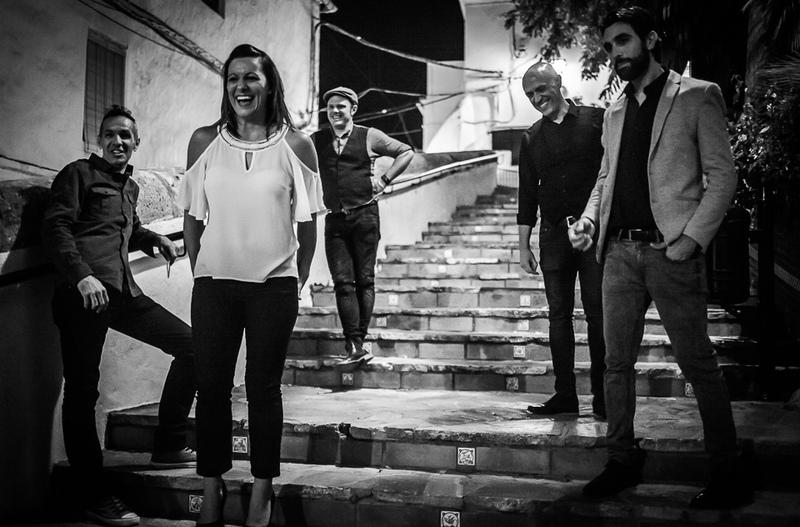 To book The Q and receive examples of their music, or to find out more about southern Spain’s favourite wedding band, speak to one of our team. Afterall, we are here to ensure your wedding in Spain ends with the party of a lifetime!